Memphis has left an indelible mark on rock ‘n’ roll, the blues and barbecue. While you are visiting this famous port on the Mississippi, consider these top 10 family friendly attractions. Elvis Presley Graceland Tour This tour enables visitors to see the home of the legendary King of Rock ‘n’ Roll. Highlights include the Jungle Room, concert memorabilia, his car collection and airplanes. The Trophy Room displays Elvis’ jumpsuits, gold records, Grammys and movie scripts. His grave-site is located in the meditation garden. This attraction is a highly acclaimed zoological park containing more than 3,500 animals. Modern exhibits like Cat Country and the African Veldt simulate natural habitats. The Once Upon a Farm exhibit has goats, chickens and a vegetable garden. Teton Trek re-creates the incredible Yellowstone National Park ecosystem. Enjoy equestrian, bike and hiking trails on this 4,500-acre nature conservancy with views of incredible wildlife. The fauna include a bison herd, beavers, deer, geese and turtles. Families can ride pedal boats and rowboats on the lakes. There is also a 120-acre off-leash dog area. The museum has a rock wall, beehives, earthquake simulator, garage and several other interactive hands-on exhibits. At the 50-foot Mississippi River model, families can build bridges and observe water wheels. Children will enjoy climbing inside a real airplane cockpit and flying a flight simulator. There is also a splash park equipped with geysers, slides and tunnels. The whole family will enjoy the bike trails, pedal boats and functional scale replica of the Mississippi. The amphitheater hosts outdoor concerts and other live performances. The museum presents the history of the Mississippi Delta, including the role of the steamboat. The monorail provides wonderful views of the river and city skyline. Pay homage to the legendary sound that studio musicians created in the 1960s at this Memphis museum. 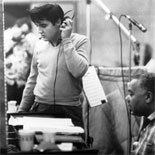 Known as “Soulsville, USA,” the studio recorded memorable hits by Al Green and Aretha Franklin as well as Booker T and the MGs. The collection includes costumes, cars and other personal memorabilia. This major science and historical museum features interactive natural history, science and technology exhibits. Memphis-related displays include the role of cotton, civil rights and music on the city’s history. There is a replica of the first self-service grocery store. This concept originated in Memphis. Climb aboard a riverboat and travel back in time. You can experience the days of Mark Twain and Huckleberry Finn. Enjoy award-winning entertainment as you visit other historic Mississippi landings, including Natchez. The tour provides an incredible view of the city skyline and bridges. Kids will love this attraction, home to a children’s play area called My Big Backyard. Children can run, jump and play as they enjoy variety of backyard games. Fun activities include dressing scarecrows, climbing trees, building forts and creating works of art. Children will love splashing in the creek to search for aquatic animals. On this 90-minute narrated sightseeing trip, your guide will provide insight into the history and legends surrounding the city’s famous landmarks. You will see Beale Street, Sun Studio and Stax Records. Other landmarks include movie backdrops and the Lorraine Motel where Martin Luther King, Jr. was assassinated.